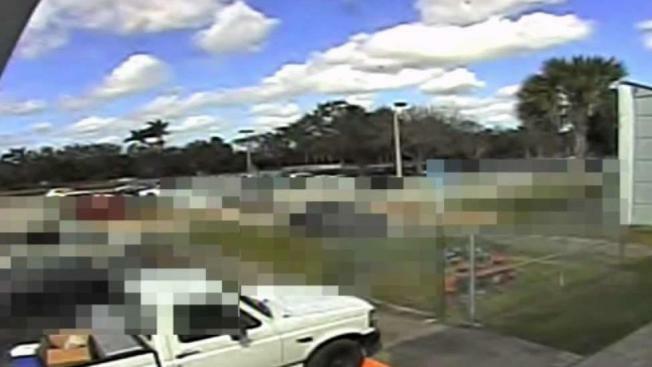 BSO released exterior surveillance videos showing law enforcement's response to the Marjory Stoneman Douglas High School shooting, after the Florida Supreme Court cleared the way for their release. NBC 6's Jamie Guirola reports. The Broward Sheriff's Office on Wednesday released exterior surveillance videos showing law enforcement's response to the Marjory Stoneman Douglas High School shooting, after the Florida Supreme Court cleared the way for their release. The court on Wednesday declined to review a lower court's decision to release the video from the Feb. 14 attack that left 17 people dead. The video files show footage from outside buildings on the school's campus and blur the faces of the students. Early on, blurred footage of a golf cart carrying a staff member pulls up and the person rushes inside. That matches reports of coach Aaron Feis, who died in the attack.